I am so proud to be part of Moishe House for so many reasons, but I was particularly proud when in the wake of the Pittsburgh tragedy, Moishe House chose to do more than put out a statement. 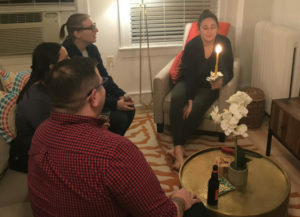 Moishe House offered additional funding and resources for hosts and residents to host Solidarity Shabbats to gather their community to be together, process their feelings, and show their support to Pittsburgh. 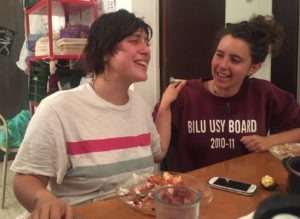 Thank you to all those who hosted a Solidarity Shabbat or Havdallah: Lauren Greenberg, Hannah Herman, Eden Banarie, Adam Kouba, Hadar Cohen, Ben Varhula and Liza Moskowitz, Aviva Hirsch, Eliana Rudee, Ariel Brotman, Arielle Sokoloff, Hadar Cohen, Jonah Adams, Shana Weiner, Aliza Minkina, Marissa Spiegel, Aleeza and Mike Wilkins, Marlon Danilewitz, and Molly Cram. 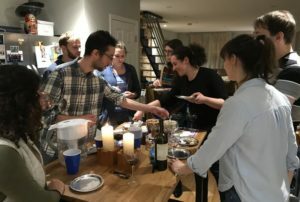 “For years I’ve hosted Friday night Shabbat dinners, attended festive holiday parties with fantastic food, copious quantities of adult beverages and elaborate costumes, and I’ve done all this while leading a double life; these were activities that I participated in with my Jewish community and kept separate from the rest of my life. My non-Jewish friends, I assumed, would have no interest in these activities. 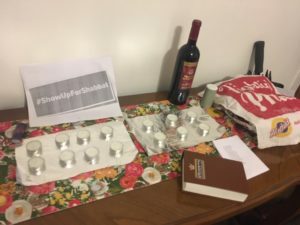 AJC’s #ShowUpForShabbat campaign called on EVERYONE to come to synagogue that Friday night and Saturday morning, not just Jews. I’ve been a part of the problem by keeping the beauty and joy of my Jewish life such a secret from the rest of the world. 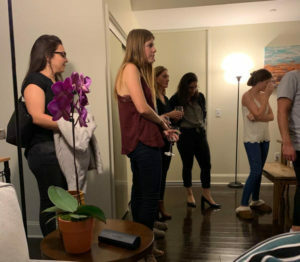 I reached out to some friends and invited them over for a Shabbat dinner. What was different was that half of the friends I invited were not Jewish. 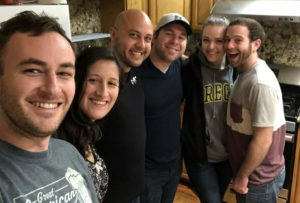 Read Shana’s full reflection here on her blog. 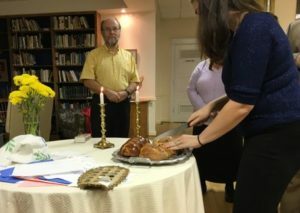 Aleeza and Mike Wilkins: Washington D.C.
Aleeza and Mike partnered with their Temple to host Solidarity Shabbat. “I thought, I want to go to Shabbat dinner. 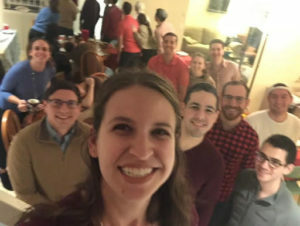 I wondered how many people in the synagogue and beyond wanted to as well.” She created a Facebook event and put out a radio ad, inviting people of all faiths. Christians, Unitarians, and many more showed up to offer their support to the Jewish community. Her program was so successful that it was even featured in the News Leader. Read about it here! 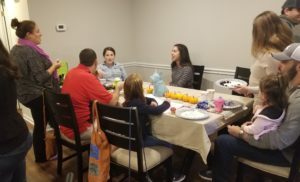 With the tragic attack in Pittsburgh still fresh on our minds, click here to read Moishe House CEO & Founder David Cygielman’s reflection on the 50+ Solidarity Shabbat and Havdalah programs led by Moishe Houses and Moishe House Without Walls hosts around the world, as well as his feelings on how we are going to move forward.